The Museum and Art Gallery of the Northern Territory (MAGNT) is delighted to announce 67 works have been selected from 308 entries to be part of the country’s most prestigious national Indigenous art awards, the Telstra National Aboriginal & Torres Strait Islander Art Awards (NATSIAAS). Significantly, this year the NATSIAAs have attracted entries from every state and territory in Australia: 2 from the ACT; 21 from New South Wales; 117 from the Northern Territory; 32 from Queensland; 70 from South Australia; 3 from Tasmania; 9 from Victoria; and 54 entries from Western Australia. In 2017 Telstra NATSIAA welcomed a new generation of artists with the creation of two new categories – the Telstra Multimedia Award and the Telstra Emerging Artist Award. This year, the number of entrants in these categories has grown, with 17 multimedia entries and 107 emerging artist entries. Of these 7 are multimedia finalists and 12 are emerging artist finalists. 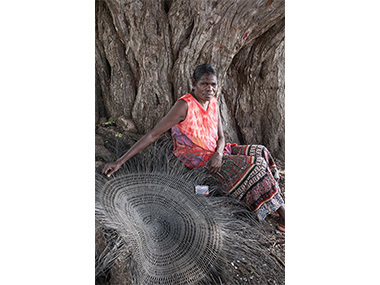 Other categories comprise: 18 entries for Telstra Bark Painting with 5 finalists; 192 entries for Telstra General Painting with 31 finalists; 32 entries for Telstra Works on Paper with 8 finalists; and 49 entries for the Wandjuk Marika Memorial Three-Dimensional Award with 16 finalists. The judging panel for this year consists of Daniel Boyd, Kelly Gellatly, Judith Inkamala. The exhibition will be curated by Luke Scholes. Daniel Boyd is from the Kudjla/Gangalu peoples of North Queensland and islanders from Vanuatu, but lives and works in Sydney. His work interrogates the myths of discovery and settlement in the formation of Australian historical narratives. 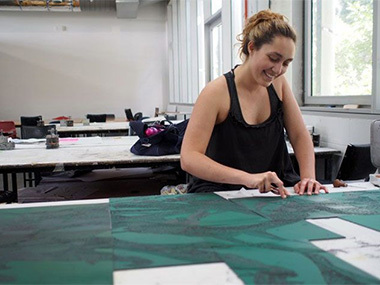 Since 2005, Boyd has exhibited nationally and internationally, group exhibitions including the 3rd National Indigenous Art Triennial, Canberra (2017); All the World’s Futures, 56th Venice Biennale, Venice (2015); the Moscow International Biennale for Young Arts (2014) and The 7th Asia Pacific Triennial in Brisbane. Kelly Gellatly is the Director of the Ian Potter Museum of Art at the University of Melbourne. Prior to taking up that role in 2013 she was Curator of Contemporary Art (Australian and International) at the National Gallery of Victoria. Gellatly has also held curatorial positions at Heide Museum of Modern Art, Melbourne and the National Gallery of Australia. Judith Inkamala is a West Aranda woman, a senior member of the Hermannsburg Potters and an inspiring and respected cultural leader in her community. As a child, Inkamala often spent time in the Namatjira household watching Albert Namatjira paint. As you can see there's a fair sprinkling of familiar names with former Award winners such as Gunybi Ganambarr, Betty Pumani, the Ken Sisters, Mumu Mike Williams and Robert Fielding. 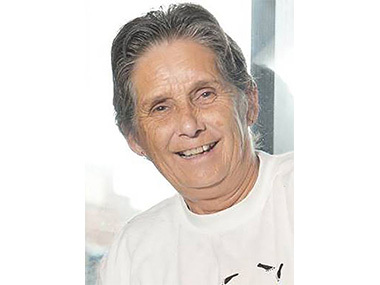 Elders like Bugai Whyoulter, Barmula Yunupingu, Mabel Juli and Tommy May match it with lesser known artists such as Tasmania's kelp-shaper, Nannette Shaw, Queensland print-maker, Tamika Grant Iramu who has a Torres Strait background, and Helen Ganalmirriwuy a weaver from Milingimbi (all pictured). But all those hopefuls from NSW and the ACT were left on the shelf! Once again, a classical Aboriginal artist – Judith Inkamla, working in the radical medium of pottery – has been chosen to join the judging panel with the ever-thoughtful painter Daniel Boyd and the experienced non-Indigenous curator Kelly Gellatly. The 35th Telstra National Aboriginal & Torres Strait Islander Art Awards will be announced on the night of Friday 10th August and collectively the winners will receive $80,000 to assist in their careers. The exhibition is then open to public viewing at MAGNT in Darwin from Saturday 11 August to Sunday 25 November 2018. Brisbane-based print-maker, Tamika Grant-Iramu photographed at work.